Take note: This is an important major work by this talented artist, painted in 1947 at the height of his artistic career. It is appropriately displayed in an authentic hand-carved frame that is entirely original to this painting. 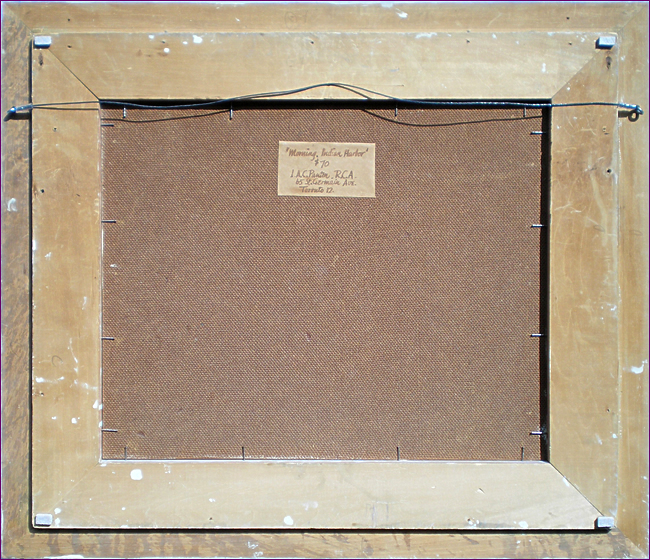 It should also be noted that this frame style was often used by Lawrence for the finer works that he displayed at art shows. Lawrence Arthur Colley Panton Born in 1894 in Egremont, a market town in Cumbria, England, the son of Charles W. Panton and Caroline Colley Panton. He received his education at the Lincoln Grammar School and in Sheffield at the Central Secondary School. 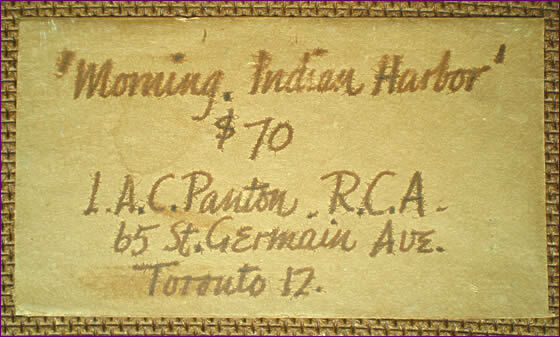 Lawrence came to Canada in 1911 at the age of seventeen, and settled in Toronto. He soon secured a job as bookkeeper with The Evening Telegram until the outbreak of World War I, where he served in the 4th Division, Signal Company of the army from 1916 to1919. Upon his return to Canada he started attending evening classes at the Ontario College of Art under C.M. Manly and F.S. Challener and also took classes at the Central Technical School, Toronto. In 1920 he married Marion Pye and they raised one son who was sadly killed in action during World War II. Finally with sufficient training and natural ability in art he joined the firm of Rous and Mann as designer under A.H. Robson. By 1924 he became an art teacher at the Central Technical School where he conducted classes until 1926. After that he was appointed director of art at Western Technical School 1926 to 1937 and also became the art director at Northern Vocational School from 1937 to 1951. He eventually became principal of the Ontario College of Art in 1951, a position he held until his death in 1954. 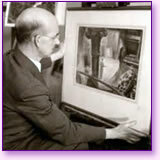 During that time he took a sabbatical leave to study mixed techniques including tempera painting with American artist William C. Palmer. During all this time he was constantly building a career as one of Canada's important painters. His early work revolved around simplified realism which included landscapes, figure studies and residential city scenes. 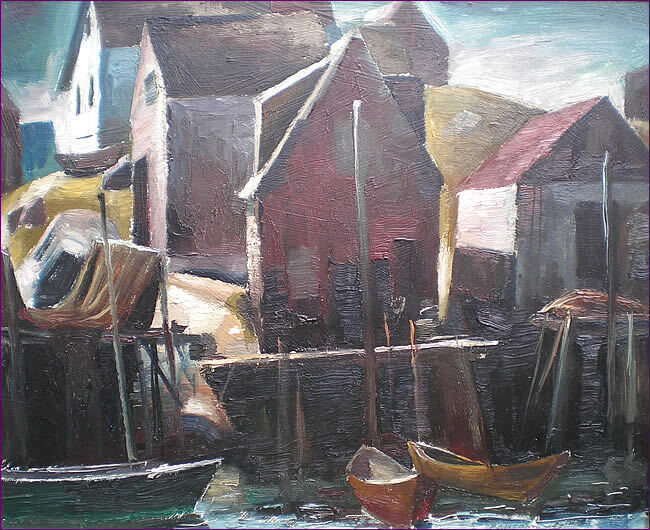 He went on to more vigorous stylization in his landscapes with emphasis on rhythmic patterns. In his final years he achieved greater freedom in semi-abstraction with in his scenes of mist-shrouded rocks of Nova Scotia shorelines. In later years, Panton built his major pictures slowly, painting thin layer upon layer, by means of glazes, where he achieved a rich luminosity of color. On trips to the Atlantic Coast, he was attracted by the shoreline landscape, with its combination of rock and boats, mist and spray, and of the permanent and the transient elements. 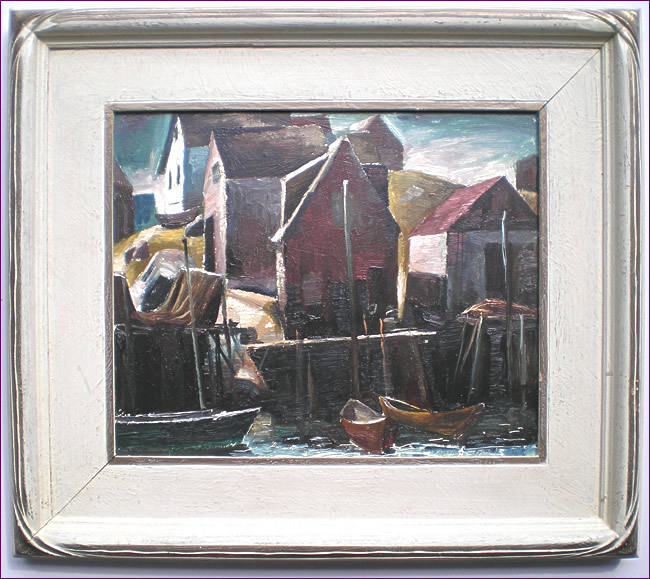 He was very active within many important art societies, including the Ontario Society of Artists serving on its council and elected juries almost continuously from the 1930's to the time of his death. He was elected President 1931-37 of the Royal Canadian Academy and former vice president and treasurer of the ARCA 1934 and RCA in 1943; Canadian Group of Painters 1949; Canadian Society of Painters in Water Colour as a charter member, 1925; Canadian Society of Graphic Arts as secretary; Canadian Society of Painter-Etchers and Engravers; he also worked with the Fine Arts Committee of the Canadian National Exhibition and the National Industrial Design Committee; Federation of Canadian Artists in 1942. He is represented in the following collections: Winnipeg Art Gallery, Man. ; London Public Library and Art Museum, Ont. ; Art Gallery of Ontario, Tor. ; National Gallery of Canada, Ottawa; Owens Museum of Mount Allison University, Sackville, N.B. ; National Gallery of South Australia, Adelaide. He wrote and lectured on the History of Art, Art in Everyday Life and on technical aspects of art and also taught painting, composition, design and drawing. A memorial exhibition of his work was held under the auspices of the Ontario Society of Artists at the Art Gallery of Ontario in Jan., 1955 and a retrospective show at Hart House, University of Toronto Jan. 29 to Feb. 16, 1974. Over the years he held one-man shows at the Laing Fine Art Gallery and at the Board Room of McLaren Advertising, Tor. Sept., 1949. After his death a show of his work was presented by the Park Gallery, Toronto. This is an excerpt from 'the Dictionary of Canadian artist' by Colin MacDonald, volume 5.